Idan Raichel comes full circle and goes back to basics on his intimate new album, At the Edge of the Beginning. 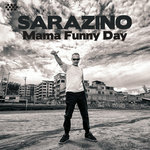 An introspective work, consisting of mostly gentle, personal songs with unassuming melodies and arrangements, the album reflects on the cycles of life, human connections and starting anew. The album represents a turn inward for the global music star; an opportunity to take stock of the past, ponder love, life and family and imagine what will truly be important to him in years to come. 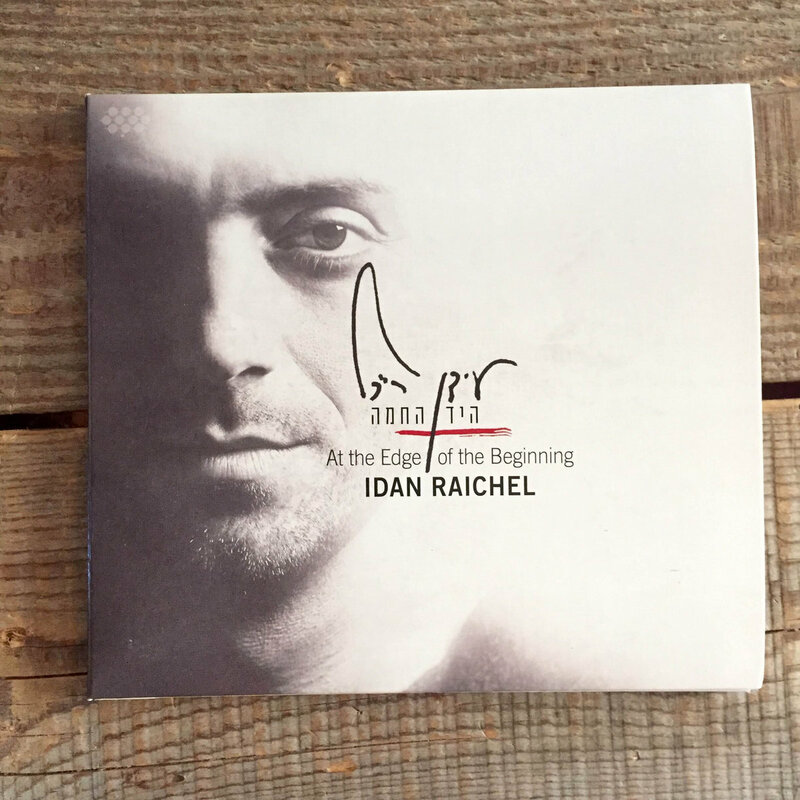 The previous albums of The Idan Raichel Project have been ambitious affairs taking years to produce, with dozens of guest musicians of diverse cultural and geographic origins and featuring a wide array of languages and musical influences. At the Edge of the Beginning was recorded over a period of three months in his parent's basement. "I chose this place because this is the place where I started, as a child and as a musician. I thought that it was a good place to explore the notion of family, to go back to the family home where I felt secure and where things were still very innocent." According to Raichel, "The recording process was very simple. I began by recording my lead vocal guide track - picking the right key, the right length, and the right tempo." Most of the guide vocals ended up being the final tracks used on the album. "I chose to record as many instruments as I could by myself. Even the drums – this is the first album that I’ve recorded all the drums. It took me time but it’s something that inspired me and I felt I could do it. I have collected many drums and percussion instruments over the years, so I felt it was about time to try this." Even the themes of the song are more personal, Raichel notes. "The lyrics are about me and my family and the transition in life that comes from settling down having two beautiful daughters. It's a personal album, a chance for me to be a storyteller." 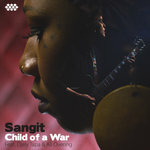 The album's second track, "The Warm Hand" is a poetic examination of the innate desire for a human connection. "In my language, “the warm hand" is a symbol," explains Raichel. "If you think about a lonely person, the only thing that he doesn’t feel is the warm hand of another person - someone who is coming to shake his hand or a give him a gentle touch. Even when people surround you, you can still feel lonely, but the warmth of a hand can be one of the most primal ways to make a human connection." The song "Circles," released this month as the album's first single, was inspired by the hora, an upbeat group folk dance. "Sometimes you see hundreds of people in circles dancing together, and they are always arriving at the same point, to the same beginning. You see kids dancing it, and then they grow up and dance it with their 30-year old friends. My mom is still dancing it in her sixties. It’s beautiful to see this. It’s also beautiful to me that I started at my parents’ house, traveled all over the world, and still always go back to the same point. Thinking about it that way makes me feel stronger. It’s all there. It’s always been there and will always be there, this feeling of a having roots." Raichel wrote “Lonely Island” when his first daughter was born. As he heard the news about her birth he looked out the hospital window and saw an ambulance pulling up. The doctor told him the ambulance held the body of a famous singer, who had died just when Idan's daughter was being born. "I thought to myself, it would be good to be able to hear the sound of newborn babies crying when you are dying. It’s a circle being closed. I thought to myself that the people working in this hospital are living on a lonely island that they can't control. Everyday people die and every day a whole new life is born and they are there to witness this miracle of life." 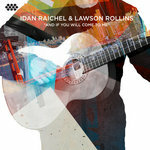 Dana Zalah is the album's lone guest singer, lending her tender voice to “Longing." Raichel explains, "I feel she’s singing this as if it were me. If I were a female singer, I would sing it that way." The song reflects on nostalgia for the simple things, for the old neighborhood, for running carefree in the backyard, for old loves. 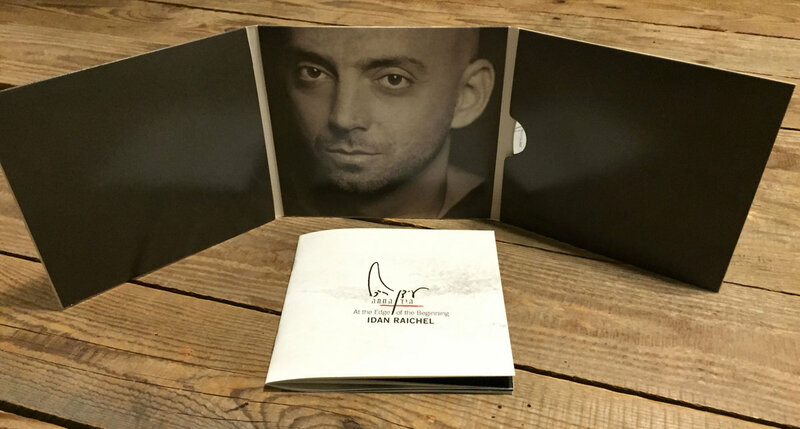 "I played the song with the piano that I grew up on, the one that I used to record the very first album of The Idan Raichel Project." The album's penultimate song, “In Five Seconds," imagines what would go through your mind in the last five seconds of your life. 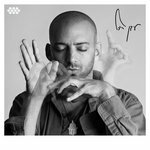 While that sounds grim, Idan explains, "It’s a song that celebrates life; about giving whatever good you can give to the world. Even if it is just to hold someone’s hand, to make someone smile." Moroccan musician Hassan Hakmoun makes a guest appearance. These are just a few of the many highlights on this intimate and moving album. 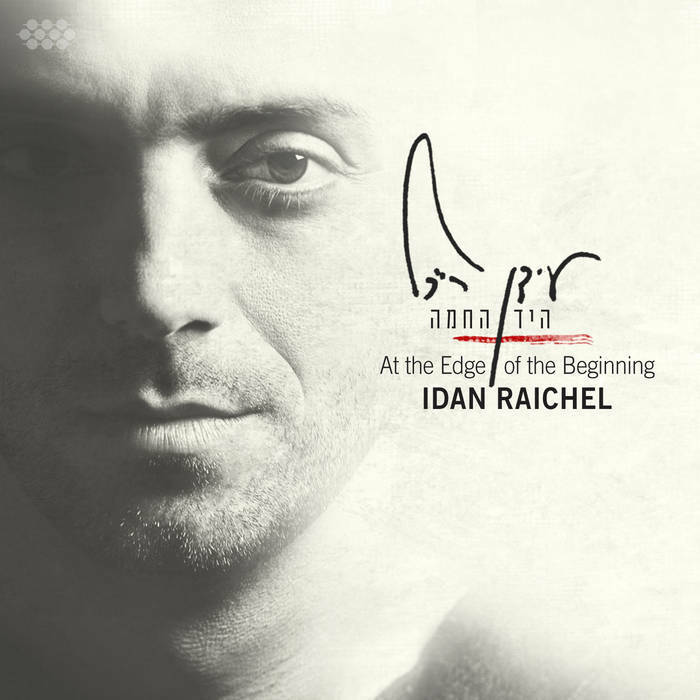 While At the Edge of the Beginning does not mean Raichel has put an end to The Idan Raichel Project, he looks forward to opportunities to strip down to the essence of musical expression. 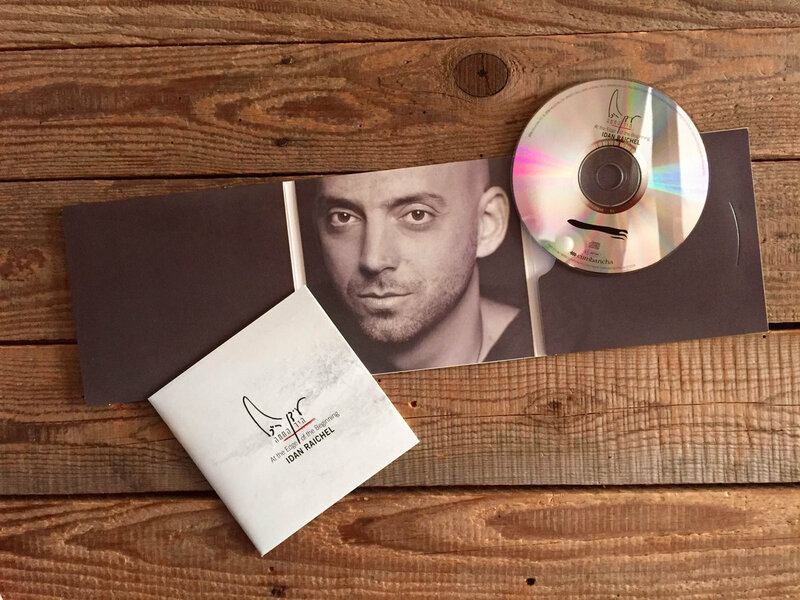 "I hope this album will enable me to go on stage, me and a piano, and to tell the audience stories, inspirational thoughts, and just sing songs. I think that this is the ultimate way to be an artist, when you’re forced to depend on yourself and on your soul."